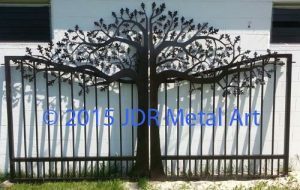 Driveway Gates Wisconsin | Oak Tree Dual Swing by JDR Metal Art - Custom Driveway Gates - Iron Steel & Aluminum - JDR Metal Art - FREE Standard Shipping! Here is one of our most recent Wisconsin driveway gates; it’s a 12′ dual swing plasma cut oak tree gate with a customized oil rubbed bronze powder coat finish. We are delivering these gates from Ohio to Green Bay, WI. These plasma cut gates are 5’6″ tall on the outside/hinge rails. The center height is fabricated to 7’6″. Once hung from their posts, the center height of the gates will be about 8′ above grade. We used 1/8″ minimum thickness for all the 2×2″ tubing on the frame. All the pickets are cut from 3/4″ square tubing with a 14ga wall thickness.. The posts are 4×4″ square tubing with 1/4″ wall thickness. The posts and gates also have their adjustable sealed-bearing hinges prefabricated and ready to bolt together for easy installation. We applied a powder coat finish to all components of these plasma cut gates. Starting with a base of zinc rich primer (formulated for superior corrosion resistance), we then added a layer of oil rubbed bronze color coat. 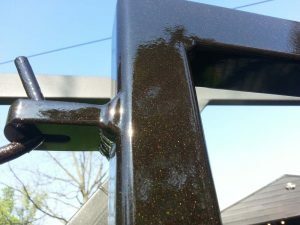 A third and final layer, clear gloss, was then applied and baked on to bring out the metallic flake in the color coat. 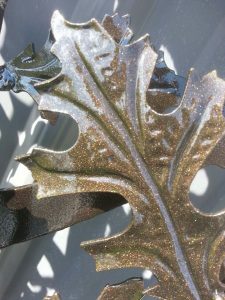 The clear coat also prevents oxidation and weathering of the metallic flake, thereby extending the life of the beautiful oil rubbed bronze finish and adding another layer of durability. 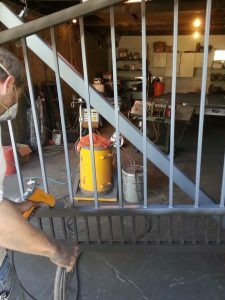 We are here to help you realize the maximum potential for your custom driveway gate project. 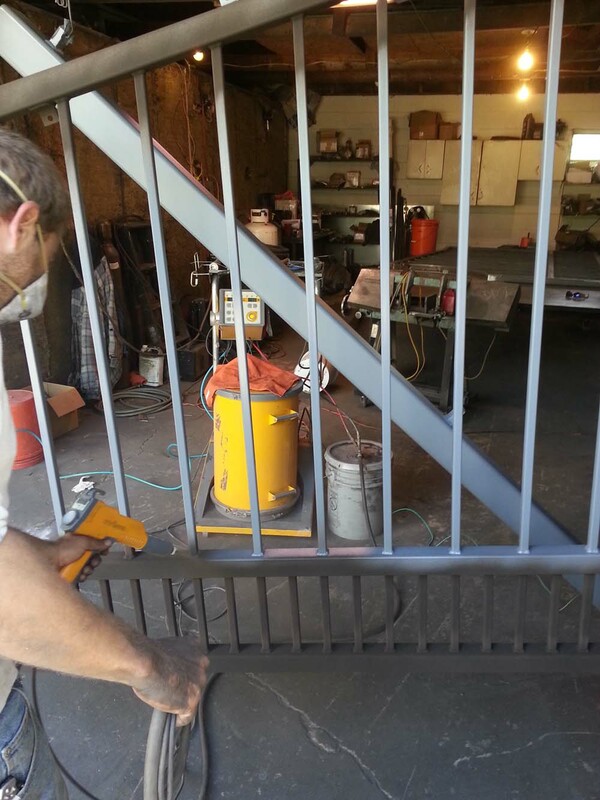 We design, fabricate, powder coat and ship our custom driveway gates all across Wisconsin, the US and beyond. We work with both residential & commercial property owners to provide them with customized solutions for safe and secure driveway entrance management. 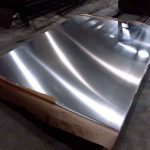 We regularly work with a wide variety of customers to help them find exactly what they are looking for when it comes to plasma cut metal art driveway gates. 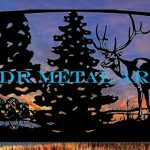 We offer wildlife themed plasma cut driveway gates, horse themed plasma cut driveway gates, and of course tree; themed driveway gates! Feel free to contact us using the form below to get a fast response to your questions about Wisconsin driveway gates!